Race to see how much can be accomplished before time runs out. Great for games, timed test, and time management. 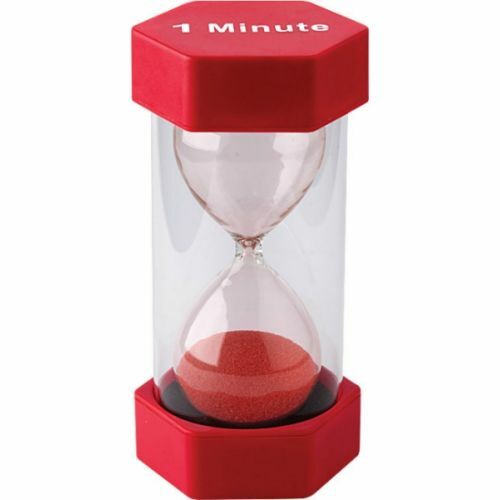 Durable plastic timer with colored sand. Measures 3-1/4" x 6-3/8".